Educational content will be provisioned centrally, providing universal access throughout each of the schools to mobile devices and laptops. This content will include Grade/Subject learning supplements, past exam papers, lesson videos, study-guides and various CAPS aligned content as well as textbooks. Content will operate in conjunction with a social portal and Learning Management System (LM&CP) that will connect all Educators and Learners with peers. This spans all schools in the province, to allow for sharing of ideas, events, media and other learning and information aids such as quizzes or polls. An end-to-end solution for the provision of a managed ICT services from infrastructure management to content provision. content by grade and subject! Cloudseed also offers content in a user portal that allows for the viewing, sharing and collaboration of content in a secure portal that unlocks all of the capability of the modern technological collaboration paradigm. In addition, a wide selection of content from commercial and non-commercial titles can be made available to educators, learners and schools. Cloudseed’s offering includes learner and educator curriculum aligned support material. Cloudseed’s content offering is curriculum aligned and extends to non-commercial titles as support for their studies. Cloudseed’s e-books and digital content for interactive learning is audio visual to support the course material and to increase learner knowledge retention rate. A Learning Management System and Learner Collaboration Portal (LM&CP) will be provided to allow teachers and learners to view and share interactive learning material within a closed network, thereby extending their learning and teaching channels. One of the key aims of the platform is the facilitation of self-paced learning as well as providing a channel mechanism to distribute e-Textbook content along with supplementary learning aids, seamlessly across the network. 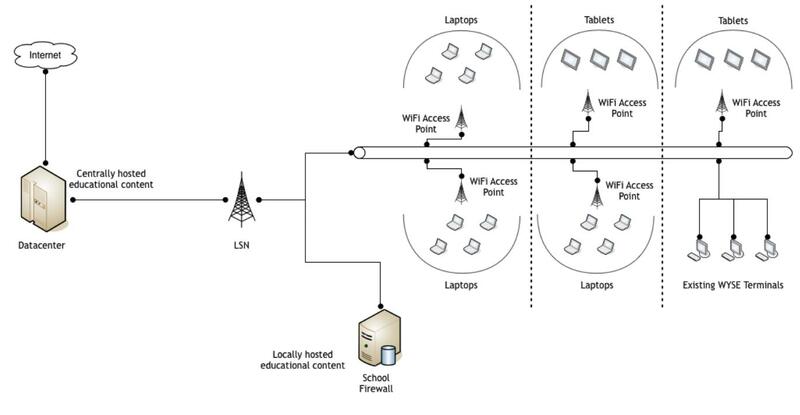 The multi-device solution (web and mobile) will allow the schools to not only disseminate pre-loaded content, but also to develop electronic coursework, create learning groups and collaborate on assignments with unprecedented reach and flexibility – thus consolidating teaching and training initiatives on a scalable, robust and mobile platform.